In stock -This product will ship today if ordered within the next 10 hours and 13 minutes. 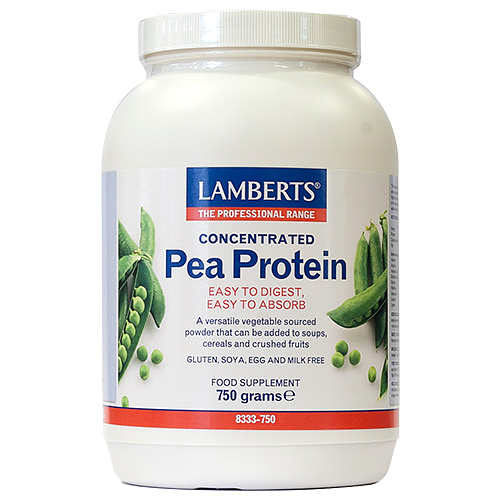 LAMBERTS Concentrated Pea Protein is a highly concentrated protein product sourced from yellow peas. The extraction and purification processes raise the protein content from the normal level of 6% in fresh peas to 80% in this product. This unique process produces protein that is highly soluble and therefore easy to digest and absorb. 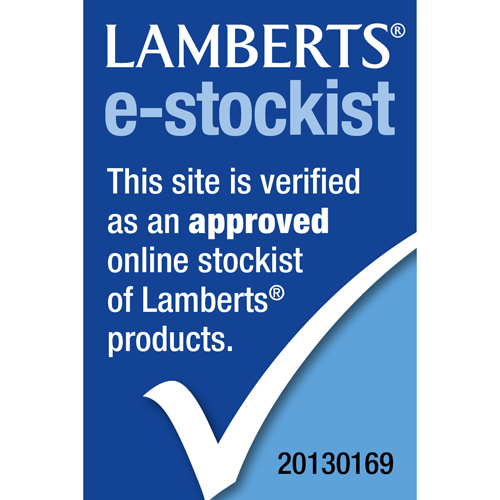 LAMBERTS specifically chose peas as the source of protein because the amino acid profile is excellent as it is rich in ‘branched chain amino acids’ (leucine, isoleucine and valine) and is richer in arginine than any other commercially available protein. Arginine is involved in the immune system response to challenges and also plays a part in weight control. Pea protein has many uses as it is free from wheat, gluten, dairy products, eggs, soya and animal products. It is unsweetened and has a mild savoury taste making it useful for mixing in to soups and stews. It can also be blended with fruit such as a banana to make a fruit smoothie. Alanine, Methionine, Arginine, Phenylalanine, Aspartic Acid, Proline, Glutamic Acid, Serine, Glycine, Threonine, Histidine, Tryptophan, Isoleucine, Cysteine, Leucine, Tyrosine, Lysine, Valine. Take 2 heaped dessertspoons = 20g. A 20g portion of this product is generally recommended. Up to two 20g portions can be taken per day. The powder has a mild, pleasant, slightly savoury taste so it is perfect for adding to soup or sprinkled on cereal. It can also be blended with fruit such as a banana to make a fruit smoothie. Please see the product label for further serving suggestions. 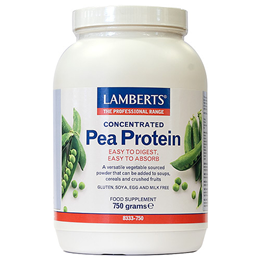 Below are reviews of LAMBERTS Concentrated Pea Protein - 750g Powder by bodykind customers. If you have tried this product we'd love to hear what you think so please leave a review.